Here I printed this beautiful flower twice on vellum and colored it from the back with alcohol markers. To learn how I printed and heat embossed this flower in gold check out my video. The dimension on the flower is achieved by fussy cutting each petal and leaf and off-setting them once they’re adhere on top of the main image. 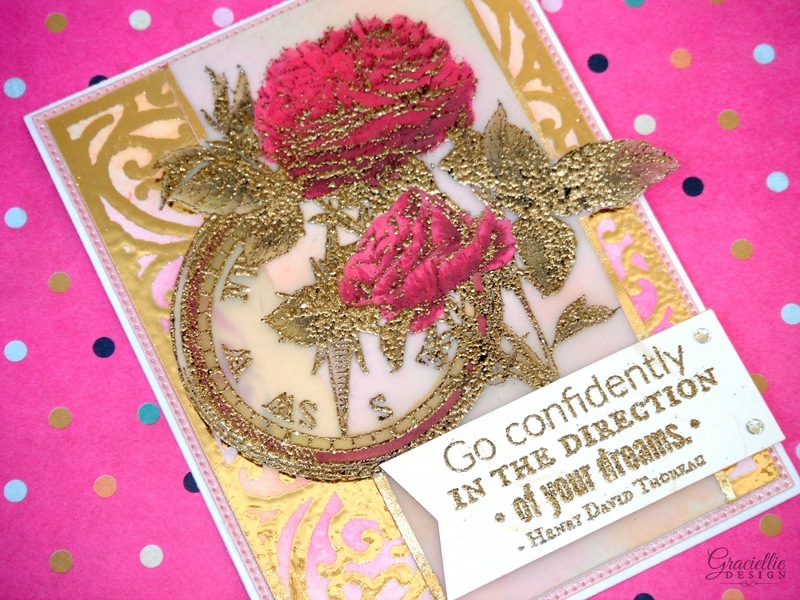 I added the vellum layer over a fun ombre stenciled background (see tutorial here) and added a little banner with an encouraging sentiment to finish my card. For my second card I went for a striking foiled look that is actually very difficult to photograph! I used a technique I call Foil Resist with which I can mix foiling and watercoloring. I will have a tutorial on it very soon, so stay tuned. Again I printed and heat embossed in gold sparkle my floral collage image on vellum and did some partial cutting to allow some of the edges of the image to stand outside the vellum banner. I colored it too with alcohol markers from the back. 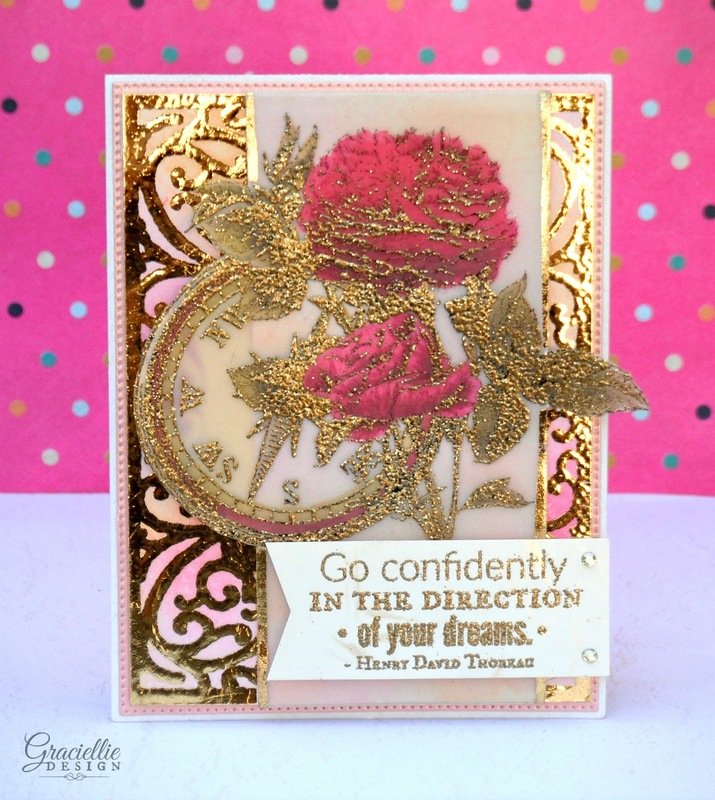 The bold and encouraging sentiment finishes the card beautifully. Now it’s time to see what the designers created… From home decor to gifts, I’m sure you’ll be inspired. 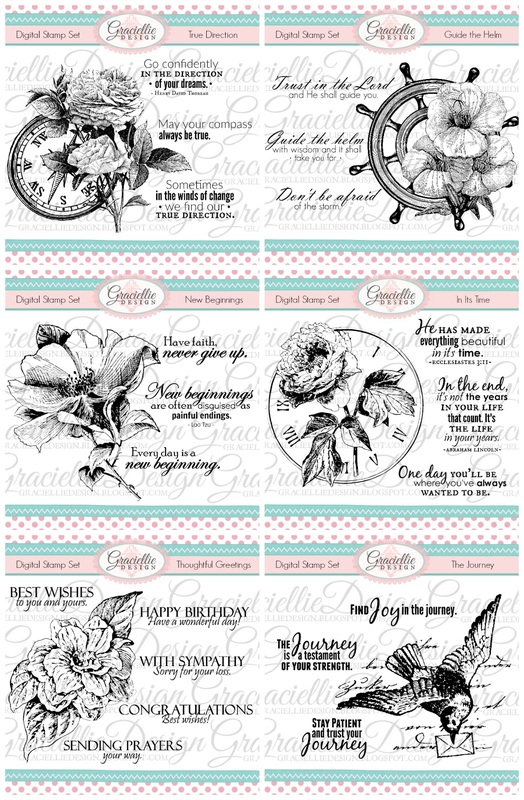 Hop along and leave a comment on every stop for a chance to win a NEW stamp set of your choice! Make sure to visit the SHOP and take a closer look to our new release. Thanks for stopping by! Make sure to follow me on social media for more inspiration and giveaways! Subscribe to my newsletter so you don’t miss out. See you next week, when I’ll announce the winner of our blog hop. Absolutely stunning….as always! Your designs are just gorgeous and I enjoyed working with them, thanks so much for having me! Happy Spring! Wow…two absolutely amazing designs, Gracie! Love these! Thanks so much for having me along on the hop! 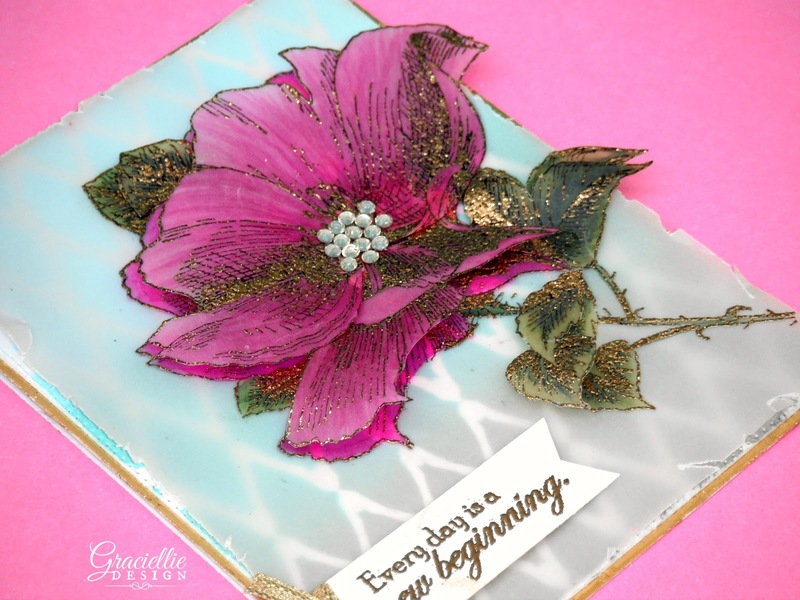 BEAUTIFUL stamps Gracie and your samples are gorgeous! What fabulous charm and beauty! Thanks for wonderful inspiration. Happy Day and Hugs! Gracie your digital designs are amazing.. I love all your techniques.. Both of your cards are STUNNING! Your designs are fabulous, but wish I knew more on “doing Digital”. 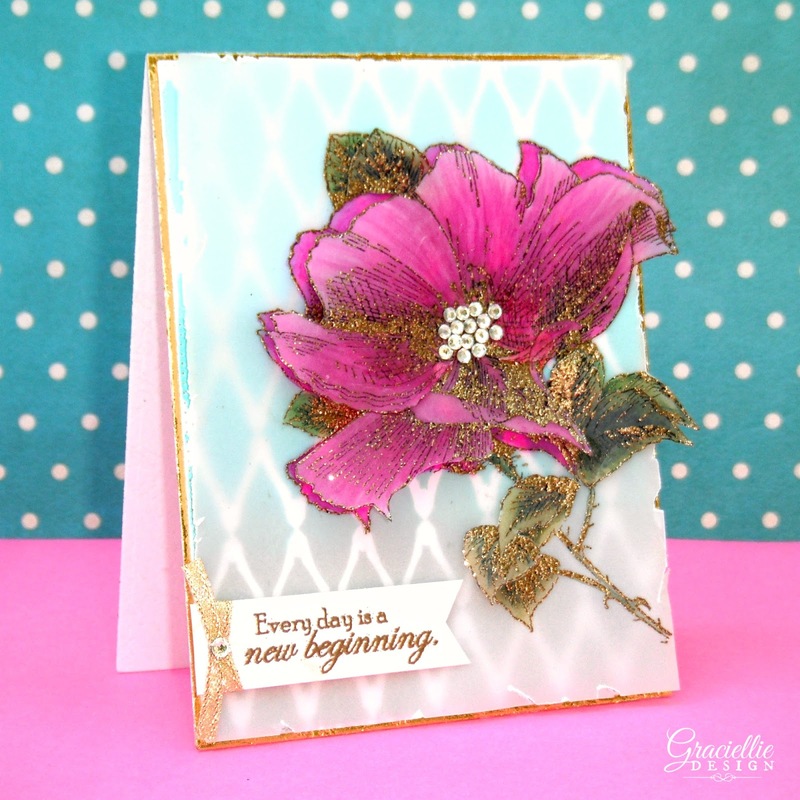 My favorite is New Beginnings–gorgeous! Wow, these are absolutely gorgeous. I am a fan of your stamps and now your digital ones as well. Gosh, everything is fabulous. Beautiful art!!! This is really great!! I love your stamps, booth your cards are so pretty. 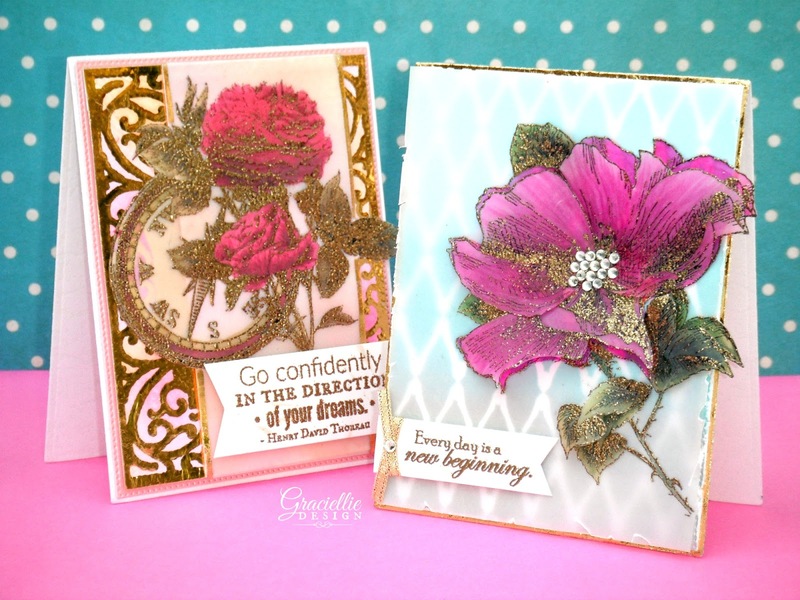 Both these cards are simply Gorgeous Gracie!!! I'm a fan of your digis… Love them!! What fabulous images and sayings! WOW your creations are stunning! Your stamps are absolutely beautiful! I just learned of them..and I am in love!!! 🙂 Thank you for sharing some gorgeous inspiration and for creating such gorgeous stamps! Just gorgeous! 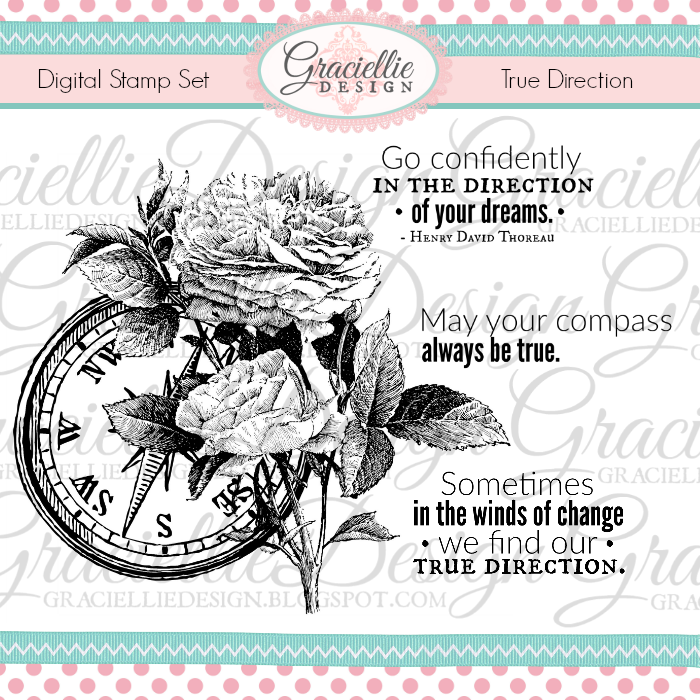 Your digital stamp sets are amazing and I love all the layering you do with them! Wonderful new release. Love your images and coloring. Very elegant new release! Your cards are simply stunning. Such beautiful images. And I love how you have stretched the techniques to a whole new lever. The layering with vellum is genius. Thanks for the inspiration!!! Absolutely beautiful cards, Gracie, and I love the new digis! Your work is amazing! Hugs, sweet friend! Wow! 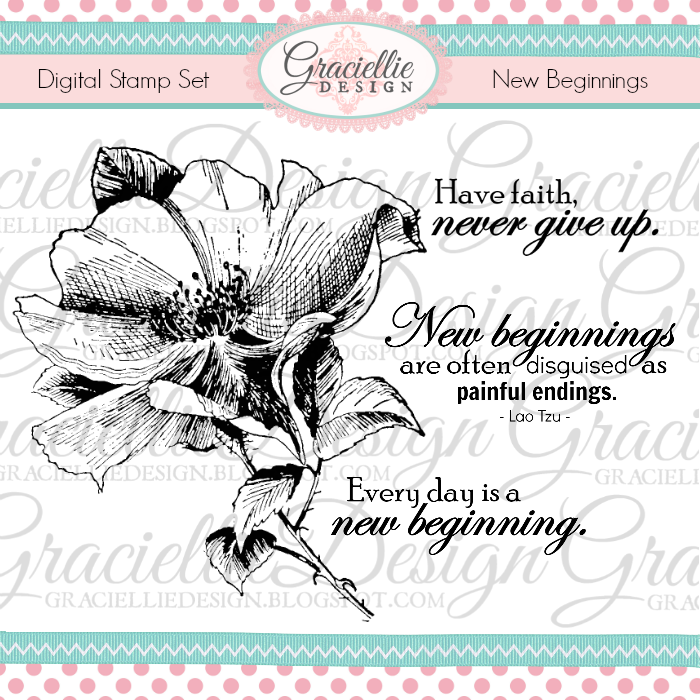 Gracie, I never thought that digital stamps could be embossed until I saw your video. Your digital stamps are beautiful and the cards are just gorgeous! Thank you so much for the inspirations and tips! Wow, this is gorgeous. Thanks for the video too. I never tought about digital stamps to embosd. A great blog hop. I like all of the stamps and your designers did an excellent job showcasing them. Oh my goodness,these are so beautiful! The images are so fine and delicate~everyone has done a remarkable job with these gorgeous designs! LOVE it! Wow! Great designs! I love your beautiful cards!!! !